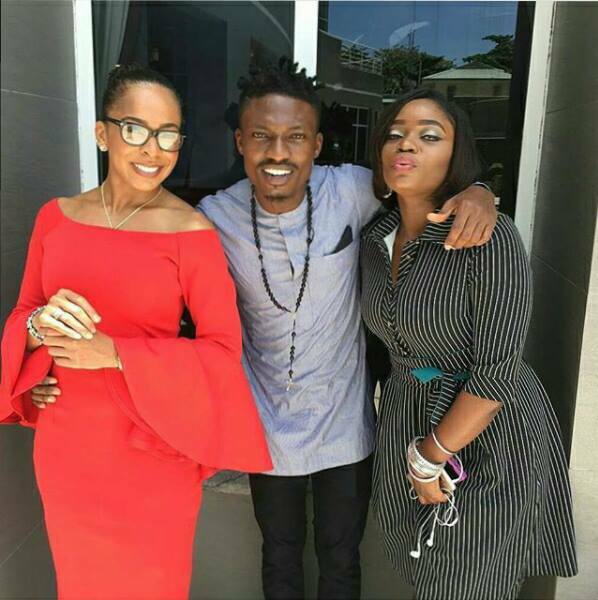 Home / Celebrities Gist / BBNaija: Efe Shares A Beautiful Photo of Hmiself, Tboss and Bisola! BBNaija: Efe Shares A Beautiful Photo of Hmiself, Tboss and Bisola! The present most popular Nigerian Efe a.k.a Mr. "Based On Logistics" on Easter Sunday evening shared a beautiful photo on his IG of himself and his 1st and 2nd runner up Bisola and Tboss wishing his fans out there a happy Easter. The top three house mates rocked in their various outfits with Tboss rocking an off-shoulder red gown, Efe rocked a simple sky blue Guinea top on a black pant trousers while Bisola rocked a black and white striped gown. Seems the friendship between Efe and Bisola is growing stronger day by day although I don't know if I can say the same for Tboss.